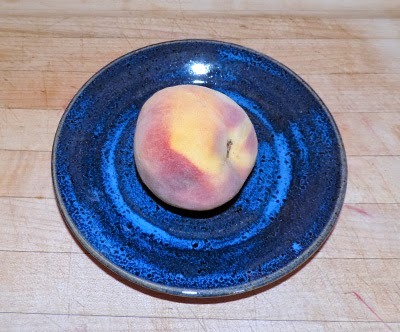 Peach varieties can be either clingstone, where the flesh of the fruit clings to the Clingstone Peachesstone, or freestone, where the stone readily twists away from the fruit. The former type is generally used for canning; the latter is generally found in supermarkets. Clingstone and freestone peaches are available in both white and yellow varieties. Peaches are a good source of vitamins A, B and C. A medium peach contains only 37 calories.